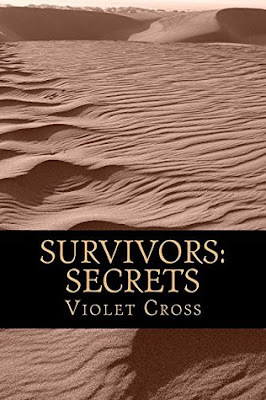 Synopsis: Lacey Young is a survivor. So is her sister, her best friend, and all the other young adults they share a hotel with now that the world has ended. Lacey Young is a leader. That’s why when the lives of her crew and the people she loves become endangered, she must go against the odds and fight to take back what is theirs. However, with secrets and betrayal as common as the grains of sand that smother the landscape, what once appeared to be a big problem threatens to become a tragedy. Blood is spilled, friendships are tested, and all the while the lurking threat that’s responsible for sending the world into chaos is closer than they all think. Lacey has a secret. A secret she’s been repressing and hiding from those closest to her. It’s a secret that she knows can help save her friends and bring back some small semblance of peace. Review: I fell into this book from the moment that I started reading it. I found myself lost in this book and just could not stop reading it and I finished it within the same day that I started it as it was that good. I would recommend this book to anyone who likes science fiction and fantasy stories.